"there wouldn't have been a Mushroom if it wasn't for us." 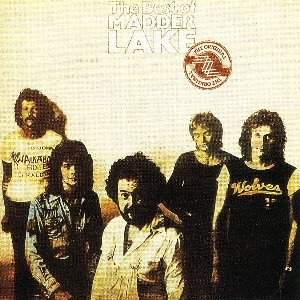 Madder Lake was one of the most original and distinctive of the "new wave" of Australian groups that emerged around 1970. They were also an important and popular part of the of the Melbourne music scene. It's unfortunate that they're only known for their extant recordings -- their two excellent 1970s Albums and one "Best Of.." compilation -- because they are prolific writers, and according to Mick they have are "literally hundreds of songs" stockpiled,waiting to see the light of day. The original lineup — McKenna, Kreemers, McKinnon, Mason and Fettes — all met in 1968, while studying at the Swinburne Institute of Technology, Melbourne's renowned arts and media college. The entry in Noel McGrath's 1978 rock encyclopedia says that Madder Lake was their first band, but in fact all the members had been through the usual round of teenage beat groups before meeting at Swinburne. The band which became Madder Lake evolved from an earlier student band, which included Kerry McKenna and Brendan Mason, who had been playing together since their early teens. By the time they began studying at Swinburne, Kerry and Brendan already had their own established band, San Sebastian, gigging regularly around the Melbourne area. They had even competed in the Victorian heats of the Hoadleys Battle of the Sounds. There were lineup changes during 1969, as new contacts from Swinburne were brought into the group: McKinnon, Kreemers and finally Mick Fettes. It was here that they also met David Drakopoulos — "Drak" — who became their close friend, roadie and cover designer. "really traumatic ... they'd been working consistently and I just had to sort of slot in". They built up a solid following on the Melbourne pub, disco and dance circuit, which was then still booming. The young band, all still in their late teens, quickly found their feet musically, and at this stage they were playing regularly, often two or three gigs per night, while studying during the day. Although some of the early gigs were at 'straight' venues — Mick recalls one in Toorak where they were even expected to put on a floor show! — the experiences were all valuable. The introduction of original material was the turning point. From there on, as they gained confidence as writers, the covers were gradually phased out. This brought them to the point (around the start of 1971) where Mick says people really started to take notice. Bookings came in thick and fast, and Mick, for one, soon found it impossible to keep up with his studies, so he dropped out and concentrated on music. They found themselves performing up to four gigs per day, and the formerly impoverished young students were soon earning more from gigs than most average wage earners. Madder Lake certainly evolved a distinctive sound very early on. According to Mick, the group's sound was very much in place by 1971. And while influences can be identified — English progressive groups like King Crimson, Family, Traffic — one listen to the Stillpoint album should convince you that they were very much their own band. They were as musically dynamic and accomplished as any of the contemporary English groups, like early Genesis, but with none of the latter's fey qualities. A focal point was the energetic,bear-like presence and tough, bluesy voice of Mick Fettes. It's become a convention to compare his singing to Joe Cocker, but it's really only a surface similarity. If you listen with open ears you quickly pretty realise that Mick was (and is) very much his own singer. Another often overlooked feature of the group was their strong harmony singing. They were picked up by Consolidated Rock, the booking agency co-owned by Michael Gundinski (who was also an old schoolmate of Brendan Mason's). By this time Mick had dropped out of Swinburne to concentrate on music, and these connections led to him landing a day-job as the art director on Gudinksi's new rock magazine Daily Planet, which he set up as a rival to Australia's established music bible, Go-Set. According to Mick, this was something of a baptism of fire — the Daily Planet office was just down the hall from Gudinksi's own office, and Mick had a close-range introduction to Gudinksi's 'high-powered' approach to business. 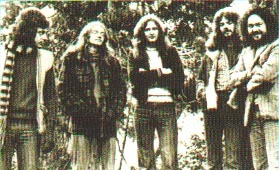 The band's common background in graphic arts provided the inspiration for a change of name around 1971. The term 'madder lake' will have childhood associations for many people — it is of course one of those evocative names given to pencil and paint colours. (Madder itself is a rich blue dye, originally derived from the root of the perennial herb madder, which is these days it is produced synthetically). Their first big break came in January 1972, when they were placed as the opening act for the epcohal 1972 Sunbury concert. Later in the year, they became one of the very first bands signed to Michael Gudinski's fledgling Mushroom label, which had grown out of his work with Consoldiated Rock. In November they recorded their first single, the naggingly catchy Goodbye Lollipop (b/w Bumper Bar Song). The effects of the 1970 radio ban wre still being felt, and some local acts were still finding it hard to get airplay, but by the time the group returned from touring early in the New Year, the single had been picked up by Melbourne radio and had shot into the charts. It was a strong chart performer, reaching #13 in Melbourne and #35 nationally in February 1973, and it provided Mushroom with their first hit single. 1973 was a peak year for Madder Lake. In January they played at the second Sunbury festival, and Mick fondly recalls 'hanging out' backstage with host Paul Hogan. In February with Goodbye Lollipop in the charts, they supported The Rolling Stones at their Melbourne concerts at the Kooyong Tennis Centre. In April '73 Mushroom released their classic debut album, Stillpoint, recorded at TCS Studios in January and March, produced by John French. It was another breakthrough success for the band and provided Mushroom with their first gold record. It reached #11 nationally and #2 in Melbourne, where they had become one of the top live draws.
" ... an adventurous work, brimming with superbly arranged material, appealing sounds and imaginative lyric themes". The album is beautifully framed by Drak's wonderful cover illustration, which complemented the music in much the same way as Roger Dean's famous covers for Yes. The distinctive Madder Lake logo, designed by Ian McCausland, completed the package. The album is still available as a lower-priced CD release from Mushroom, and it's highly recommended for anyone with an interest in the music of this period. On the down side, it's regrettable that Drak's beautiful artwork has been so poorly reproduced for the CD version. Also, Mick Fettes recently revealed that French and the band were under pressure from Gudinski to save money and work as quickly as possible, and that as a result they were never entirely happy with the final sound! Keyboard player John McKinnon left the group mid-way through 1973 ("musical differences"), and he was was replaced by Andy Cowan, who was introduced to the band by future Skyhook Bob Starkie (another former schoolmate of Brendan and Kerry's). In August, Mushroom released a second single, "12lb Toothbrush" / "Country Blues", which became an even bigger hit, going Top 10 in Melbourne and #35 nationally. Simultaneously, radio began picking up other tracks form the LP and at one stage, according to Mick Fettes, there were four or five tracks on high rotation on various Melbourne stations. This later proved to be source of some regret, when the band realised that they coudl have made much more of their success if other tracks had also been released as singles. By early 1974 Madder Lake were well and truly stuck on the treadmill, gigging incessantly around the country. They were one of the headline acts at Sunbury '74, where they actually followed immediately after the hapless Queen, who were booed and bottled offstage ("The crowd wanted us" reckons Mick! ).They made appearances on GTK when they were in Sydney (some of which have survived) and Mick says they even appeared on an early edition of Countdown (which, sadly, probably hasn't). A rare clip of the band performing "12lb Toothbrush" (probably from GTK) has recently been posted on YouTube. They found themselves in a"catch-22" situation -- their booking agency, Consolidated Rock, and their record company, Mushroom, were effectively the same company and both were keen to milk the cash cow while they could. 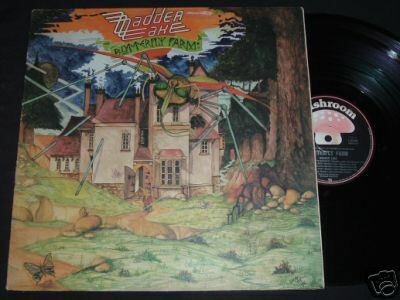 Although Madder Lake themselves would clearly have preferred to take time out to rest, write and rehearse new material, Mushroom rushed them into the studio early in the year and they cut their second album Butterfly Farm. By the time the second album was completed, relations with their label were at an all-time low. Mushroom's attitude veered betwen hostility and indifference, and this added to the pressure the band already felt in having to come with a suitable follow-up to such a successful debut. Although the resulting LP is still an excellent work, the group themselves admit that the spirit which informed Stillpoint was fast disappearing by the time its successor was cut. The second LP, Butterfly Farm, was released in April 1974; it sold very well (giving the band their second gold album) and went to #18 in the album charts. Mushroom lifted two Singles from it: the first was Butterfly Farm / Back Seat Song (April '74). Radio in Melbourne picked up one of the album tracks, Booze Blues, and gave it a lot of airplay. Many fans thought it was the new single, so Mushroom rush-released it in May, but it was only a local hit in Melbourne and didn't chart nationally. The next single, It's All In Your Head / Slack Alice (November) was written specifically as with radio airplay in mind, but it didn't make the charts. At the end of the year the band split with Mushroom ("a mutual thing", says Fettes) but around this time another exciting break came their way when they met leading conductor David Measham. The English-born musician was a regular visitor to Australia, where he worked as a guest conductor with ABC orchestras. He also had a finger on the popular pulse, and was closely involved in the trend to combine rock music and classical orchestration. 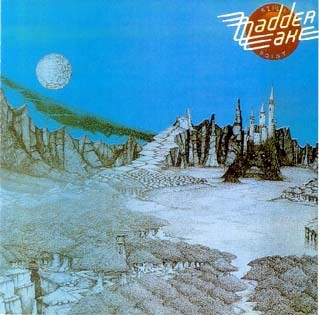 By the time he met Madder Lake, he was well-known worldwide through his collaboration with former Yes keyboardist Rick Wakeman on his hugely successful 'symphonic rock' concept album Journey To The Centre Of The Earth, which Measham orchestrally arranged and conducted. Measham was evidently on the lookout for an Aussie band to collaborate on a similar musical project when he met Madder Lake in Perth. During a long meeting at a Perth hotel, Measham proposed the idea of a large-scale conceptual work for rock group and orchestra, to be written by the band. Measham's proposal was that he would orchestrate and conduct the work for the band, who would perform with the West Australian Symphony Orchestra, and Mushroom (who initially showed some interest) would record and release it. One of the most exciting aspects was the subject -- rather than the fantasy-adventure of Verne's book, the new project promised far meatier subject matter. It was to be based on Aldous Huxley's famous speculative novel Brave New World. Madder Lake returned to Melbourne and leaped into the project, drastically curtailing live gigs (and thus their income). Through a friend, they were able to use an empty pub in the dockland area of Port Melbourne as a regular base in which to write, arrange and rehearse the new music. They made several tapes for the project, including a full preliminary demo made on 4-track at the ABC studios in Perth. It's not known if these ABC tapes have survived, but the band at least do have a cassette copy (although the quality is necessarily limited). Aruond 90 minutes of songs and linking music was composed, a rough set of working lyrics had been written, and according to Mick the project was more than ready to hand over to Measham for the next stage, the orchestral arrangments . Unfortunately, this was the point at which Brave New World became one of the great "lost" works of Australian rock. Mushroom's initial interesting in the project rapidly cooled, Measham's concert commitments kept him away and as it dragged out over months, the band saw the writing on the wall, and it was eventually shelved. Because it was written to be performed as single piece, the band only ever played it live once in its entirety, although one favourite segment was preformed at gigs as a stand-alone piece for a while. The combination of the Madder Lake's innovative music and the Brave New World book leaves you wondering what might have been. We hope that some of the Brave New World demos will find a public release in the future, and it's also possible that, with the advent of new computer technology, it might be possible for the group to realise the work electronically in the future. "We just hit a brick wall at a million miles an hour ... in those times you were just on a merrry-go-round, and you just went on it in concentric circles until you reached the centre, and then it spat you out It wasn't just us -- it happened to so many people." Things came to a head at the end of 1975. While on a trip to Sydney, Mick Fettes, who was very much the voice and face of Madder Lake, decided he had had enough, and one night before a gig at the Bondi Lifesaver he quit the group. Mick took a well-earned sabbatical and then teamed up with an his old mate, musician & comedian Shane Bourne (now also well-known as a serious actor). Mick and Shane knew each other from the Reefer Cabaret, where Madder Lake had played many times, and where Shane performed comedy spots between acts. After several months' writing the pair formed a new group, Bandicoot, which also included drummer Gary Young (Daddy Cool). They recorded an album and single in 1976 for the Rainbird label, and toured extensively. Mick was repleaced in Madder Lake by Colin Setches who had been in the original Australian stage production of Hair. Andy Cowan also left in late '75 and the band played as a three piece until John McKinnon rejoined in early 1976, but there were more lineup changes to come. Kerry McKenna left for three months to go to London, and he was temporarily replaced by Ian Holding (ex-Sunshine, Sayla). When he returned, he rejoined on second guitar and Tony Lake also came in, replacing Setches on lead vocals. There was evidently a rapprochement of sorts with Mushroom, and they released a new single I Get High / Rodney's Birthday in July 1976, on which McKinnon sang lead vocals; unfortuantely it didn't chart. According to Noel McGrath, another single Love Light In Your Eyes was released before "I Get High" (but there's no mention of this in either Who's Who or Ian McFarlane's Encyclopedia). Tony Lake left the group in May 1977, and by this time they were rarely playing live. There is little information on what happened over this year, but in May 1978 Mick Fettes rejoined the group in, having quit Bandicoot sometime before. His return coincided with the release of Mushroom's The Best Of Madder Lake. The group still had a loyal following, it seems, and the compilation sold well enough for Mushroom to consider re-signing them. Plans were made for a new LP, but the reunion didn't last and Mick again left the band in January 1979, heading off for a year in Europe with his wife Vicky. Although there have been some long "dry" spells, it's important to note that Madder Lake have never actually split up. When Mick returned from overseas, he renewed contact with his old bandmates and they have since convened from time to time, to write, record and play the occasional special gig. In the meantime Brendan and Kerry formed Clawed Rains (aka Claude Rains) which worked mainly in 1980-81, but also got together sporadically into the late '80s. The group also included singer Neale Johns (Blackfeather) and drummer Trevor Young (Coloured Balls). Michael Gudinski planned a large concert to celebrate Mushroom's 10th anniversary in 1982, and Madder Lake (who still had a place in the heart or conscience of Mushroom) featured prominently in those plans. Gudinski approached Mick to perform with them for the Mushroom Evolution Concert, which was held over the Australia Day Long weekend. Although he at first refused, Mick eventually agreed -- reluctantly. Three tracks from their performance ("Goodbye Lollipop", "Song for Little Ernest" and "12lb Toothbrush") ended up on the triple LP recording of the concert. The band have since got together on occasion (with a new drummer, Luke McKinnon, the son of their old keybord player John). According to Ian McFarlane's Encyclopedia, they were recording an new album in late 1996. Mick Fettes has confirmed us that there is indeed 12-track Madder Lake album of all-new material "in the can" but that it has been "on hold", pending additional funds to complete production. Being their first major success, it was fitting that Madder Lake were featured at Mushroom's 25th anniversary concert in late 1997. In fact one could say that this and Madder Lake's first Sunbury appearance were the bookends for the career of Mushroom Records. The much-heralded gig featured most of Mushroom's biggest acts, was televised nationally and recorded for release on CD and video. Sadly, events in the following months proved that this "celebration" was in fact a 'pre-mortem' wake. In mid-1998, to the consternation of many, Gudinski sold his controlling share in the Mushroom to its other major shareholder, Festival Records, a subsidiary of Rupert Murdoch's News Corporation. Festival, it seems, was keen to expand its presence in the music industry and had its eyes on Mushroom's artist roster and back-catalogue for some time. In the press, Gudinski asserted that the sale was "not about the money" and went so far as to claim that the sale was in fact a protest against the Howard goverment's changes to to parallel importing regulations. Few believed him. The deplorable result was that the only major independent Australian recording company passed into the hands of a American-owned multinational, and many former employees were laid off in the wake of the sale as the new Festival Mushroom Group "rationalised" its operation in the time-tested Murdoch fashion. Goodbye Lollipop, indeed! On the up side, the members of Madder Lake are still in regular contact, and they recenetly held a reunion of all the original members -- the first such meeting since the Seventies. They are re-establishing a business identity for the group, and gradually workng through their archives to assess and prepare old and new material for possible future release. According to Mick there is enough useable material for at least 3 CDs. We sincerely hope that they can bring their plans to fruition and especially that Madder Lake will be able to hit the stage again, as they are keen to do. There are many fans who would dearly love to see then up on stage again! Over the last few years, Kerry and Brendan have hooked up with Neale Johns in a new incarnation of Blackfeather, which has performed on several occasions. Both Stillpoint and The Best of Madder Lake were reissued on CD by Mushroom in the 1990s and it is believed that Butterfly farm was also given a limited release. None of Madder Lake's recordings are currently available following the closure of the Festival Mushroom group in 2005. The companys recordings archive was purchased for AU$10m by Warner Music in late 2005 and some titles (such as Split Enz) have recently been reissued but the company's future reissue plans are not known. "On My Way to Heaven"
"Listen to the Morning Sunshine"
"One Star and the Moon"
Special thanks to Mick Fettes and Kerry McKenna for their assistance with this article.